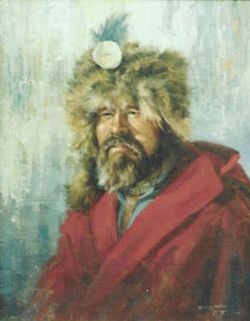 Colter was a member of the Lewis and Clark Expedition (1803–1806) and joined Manuel Lisa’s fur trading enterprise in 1807, traveling into the region of present-day Yellowstone National Park in search of fur. He was the first white man to see and describe the area. Colter was celebrated for his hair’s-breadth escapes from Indian captivity and combat.